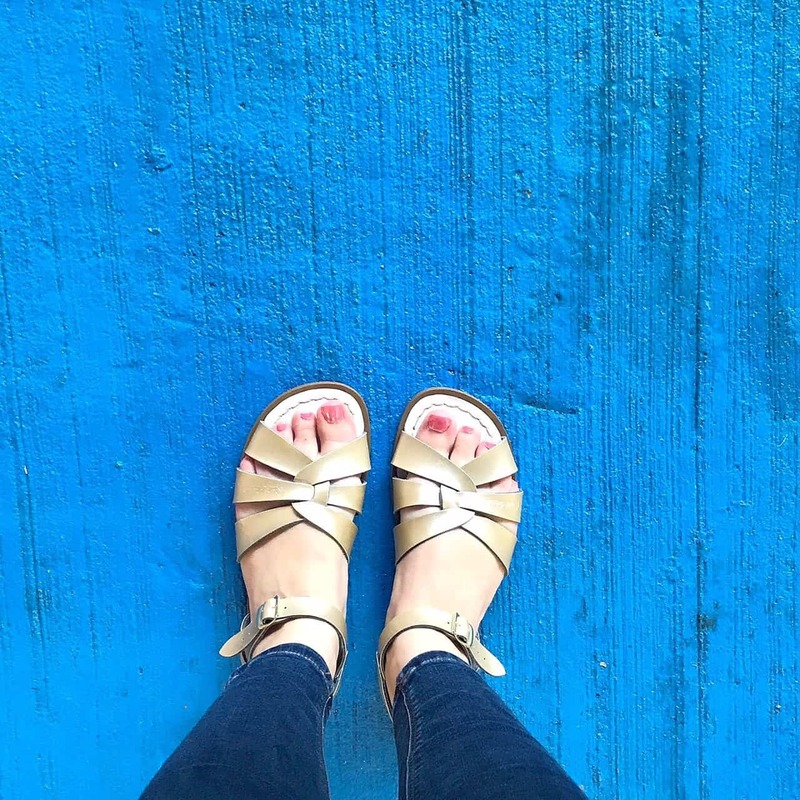 Sandal season: the best time of the year, right? 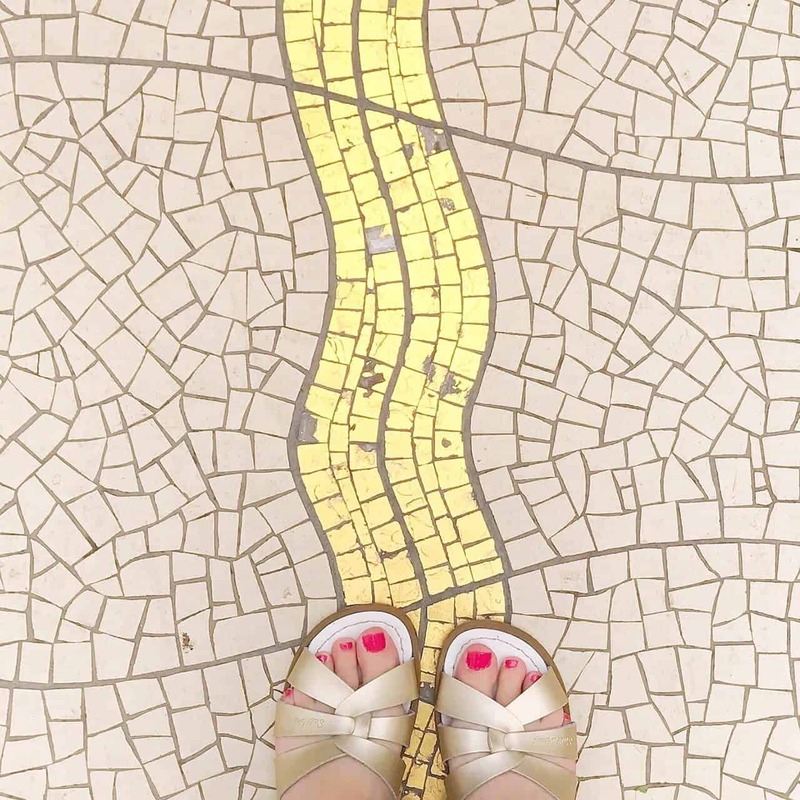 I’m wearing my lush gold Salt-Water Sandals at every opportunity. I’ve been eyeing them up for years now, but have always been put off by the sizing. 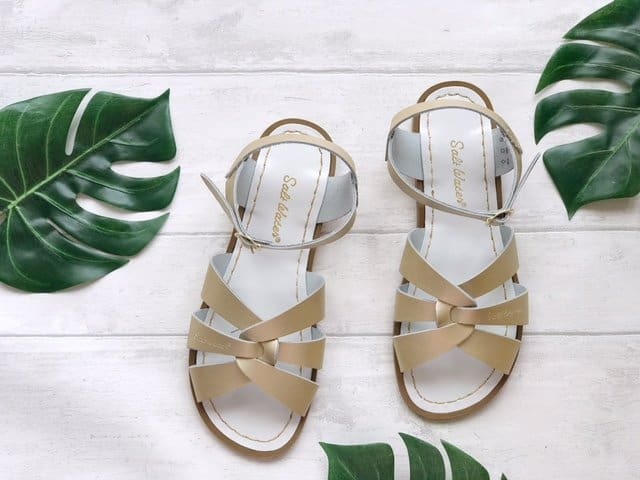 They are known for having unusual sizes, and the fact they aren’t readily available to try on makes it tricky to find the right sized Salt-Water Sandals. 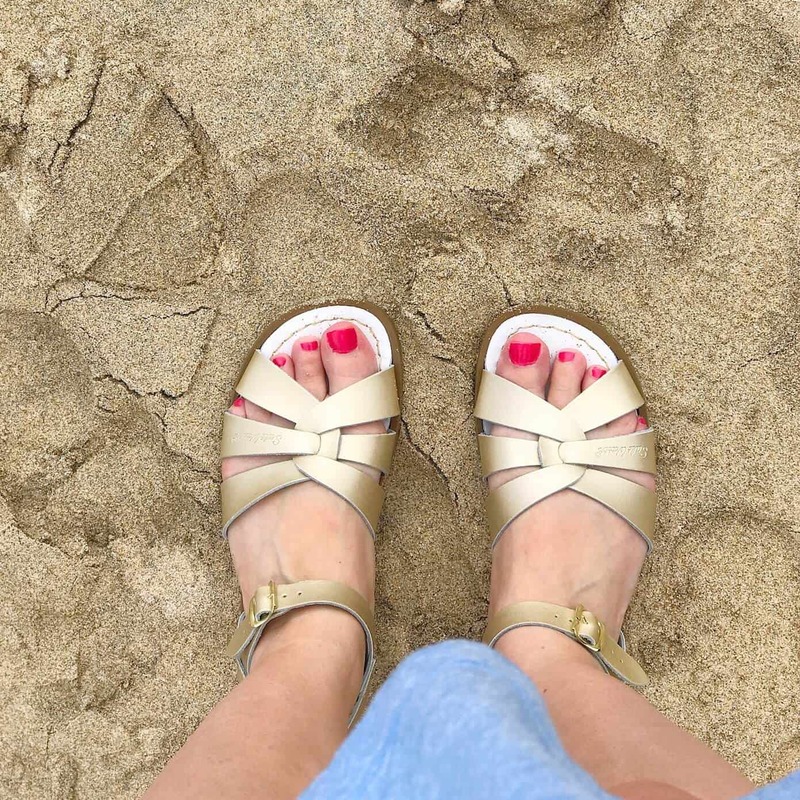 Salt-Water Sandals had a sale on recently, and as I knew I’d be spending a lot of time on the beach in St Ives, I decided to treat myself. 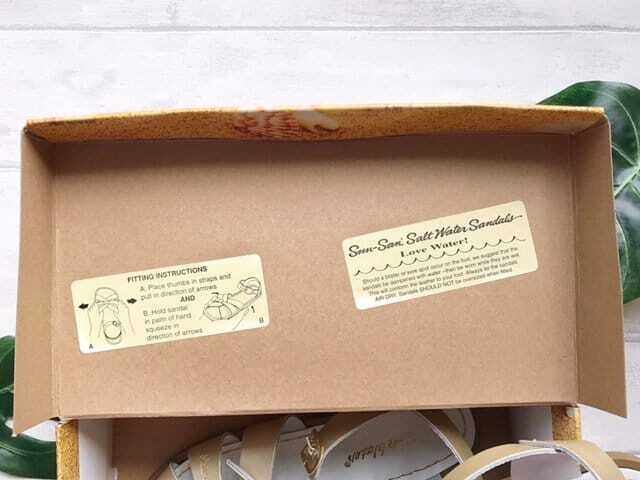 They have a print off sizing guide which I used, but as you have to pay for postage, but not returns, I hedged my bets and bought three pairs, so I could send two back. When they arrived, I was not disappointed, they look gorgeous. I love the colour and the gold buckles. 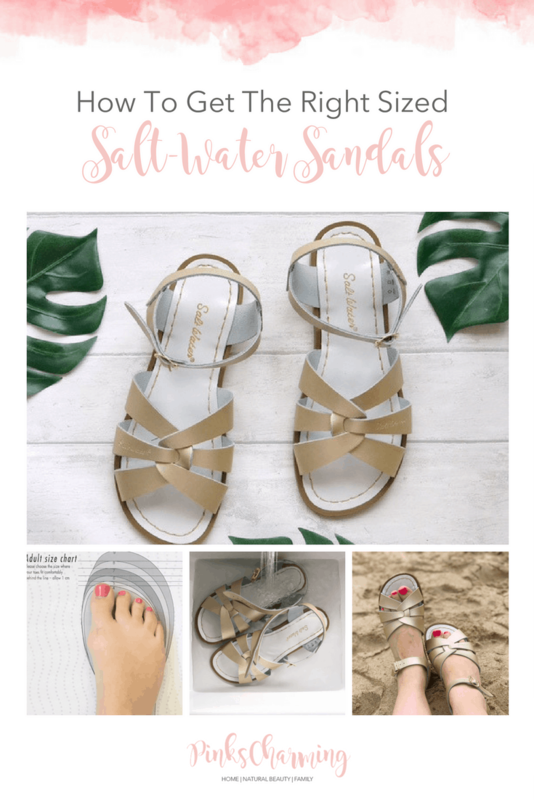 I Googled Salt-Water Sandal fit guides but nothing much came up so I wrote one, in case you have the same dilemma as me! Step 1: Print off the size guide, making sure to print at 100%. Step 2: Step onto the size guide and check out the size they recommend. I am normally a UK 5 1/2 to a 6, but often go down to 5 for sandals. Classic Sandals in Size 7 are too big. 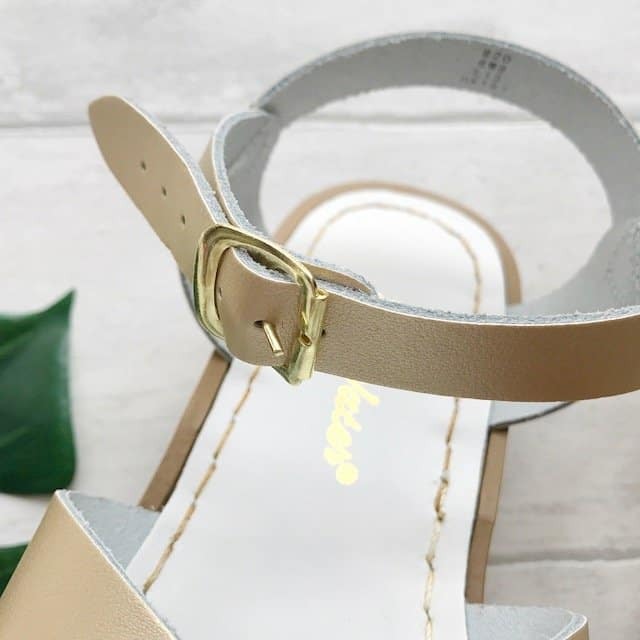 Classic Sandals in Size 6 are the right size. 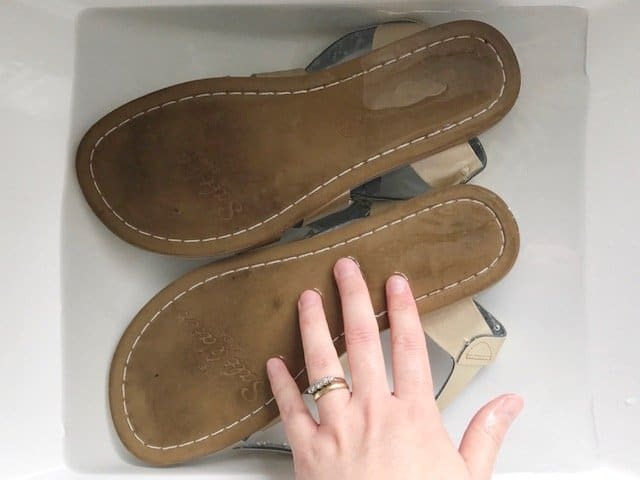 Original Sandals in Size 6 felt a little snug, but ended up being perfect. So from my experiment, you can see that the printed fit guide is right. The line your toe hits is where the stitching would be for the next size up. So my toe hits size 5 and the size 6 fits perfectly. They do feel tight to start with, but the leather does loosen quite a lot, especially if you get them wet so don’t worry! The two Size 7 pairs were sent back, and I wore the Size 6 around the house. They did rub a little, so I followed the instructions in the box to make them fit perfectly. I worked the leather a little, but took to Instagram to see if anyone I knew had soaked their sandals in water. A few friends said they had, so I took the plunge. Literally! 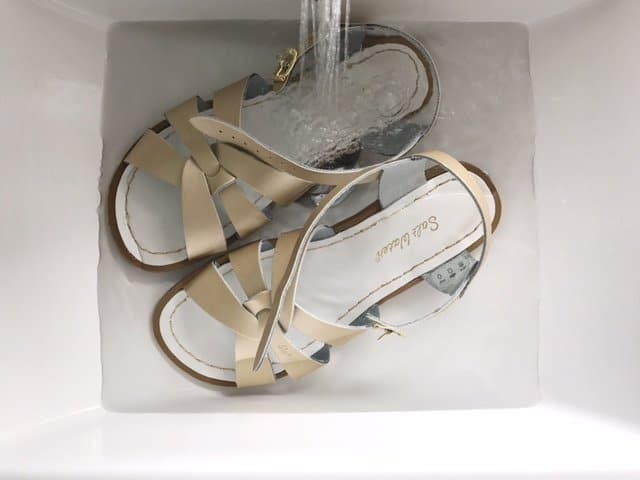 Put new Salt-Water Sandals in the sink and cover them with plenty of water. Flip them over and soak them for about five minutes, and then wear them until they dry. You just wear them until they dry, which feels a little odd but works like a charm. My Salt-Water Sandals now fit perfectly, with no rubbing at all. They are so comfortable I wore them every day on my holiday! … and back on the beach! I am already planning my next pair of Salties. They are the most expensive sandals I’ve bought, but I know they will last for years to come. I’m trying to live a more sustainable life, so buying quality once, rather than several poor quality items makes sense to me. I have recently bought the pale pink versions, and love them just as much! 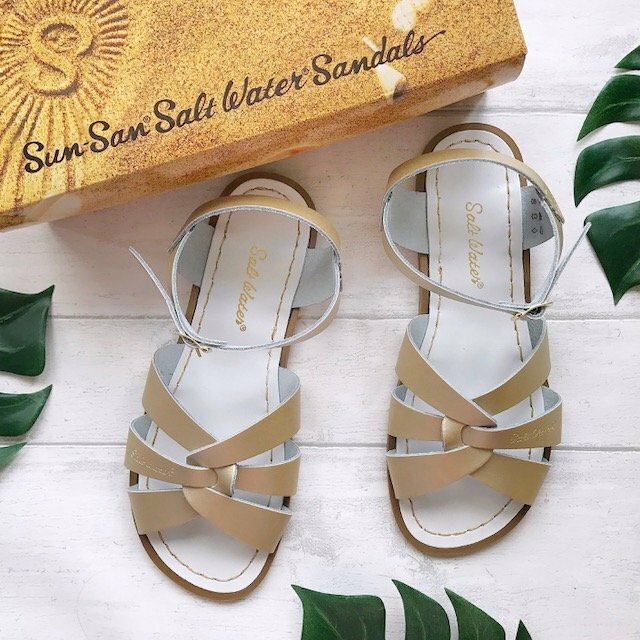 Did you find this guide to getting the right sized Salt-Water Sandals useful? Why not Pin it for later? May I know what is your US size?